The New WAP-5836 Wireless HD Multimedia Extender features 450Mbps of pristine HD video and multimedia wirelessly through business and home environments. 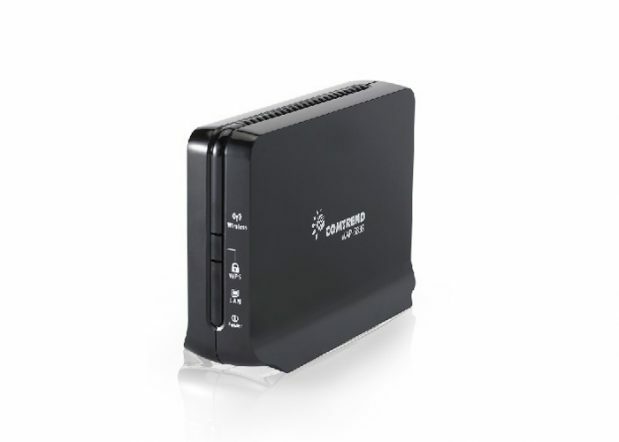 Sporting a Gigabit Ethernet port, the WAP-5836 transmits up to 450Mbps wirelessly in the 5GHz spectrum. “Today, the market demands both throughput and coverage,” says Brian Nickell, Senior Product Manager, Comtrend. The WAP-5836 is another step forward in technology, now utilizing 3×3 MIMO. With a field-proven track record of successful IPTV installations, Comtrend’s HD Multimedia Extenders allow reliable penetration of multiple walls, floors, moving doors and objects. The new WAP-5836 doubles the previous generation’s maximum connections, increasing from four to eight 1080i HD streaming devices. In its new glossy black casing, the WAP-5836 now has auto-detection of client and device- creating a hassle-free installation experience.